"No other place to go, I wanna get away, let's get away! The only way, you'll ever know, is to go, is to go!" 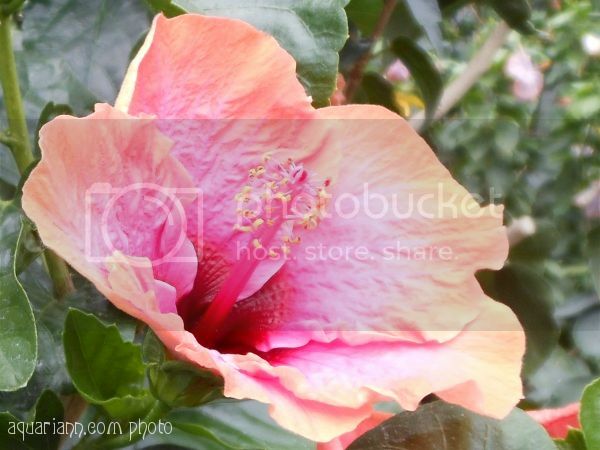 This pink hibiscus flower transported my mind from Longwood Gardens to a tropical island. Gorgeous photo! Thanks so much for hosting. I always look forward to linking up with you for WW. Gorgeous hibiscus. I played too. Mine are here and here. Such a pretty flower! I bet that garden is full of all kinds of lovely blooms! Beautiful flower Kristin. Hibiscus flowers do well here in Jamaica. I must get some for my garden. Once we had a Hibiscus that put forth flowers in two different colours - some pink and some white. Thanks for hosting. Beautiful pink!! I'm so glad spring is finally here! The hibiscus is our national flower. It's called Bunga Raya in Malay. You've captured it beautifully, Kristin! I'm a bit over the moon for the hibiscus! I just love close ups! lovely photo - thanks for hosting! I love hibiscus flowers, they are so beautifully coloured and seem so very fresh. Man, I don't know where that transports me.... Oh, to heaven and back, I'd say. WOW! Thanks for thinking The Big Tree is wonderful. The home that has it is for sale and I am praying that the new owners don't cut it down!!!! You pray, too, okay? okay. tropical island, definitely. such a gorgeous flower! I love its variations of color. Your flower photos are always so cheery. I'm simply hopping this afternoon. No WW post up. I'm finding it difficult to get into the groove. Yesterday, I had additional medical tests and I'm still worn out. Maybe I'll catch a wave of energy and will be able to post something later this week. I'll keep my fingers crossed. lol Have a good evening! Lovely photo, Kristin. Thanks for checking out my wildflowers! Very pretty! Hibiscus always reminds me of summer. They are associated with freedom of expression too. Really gorgeous flower. Life really is too short...we should stop to smell them all, like you have here. Pretty! Almost looks like paper!